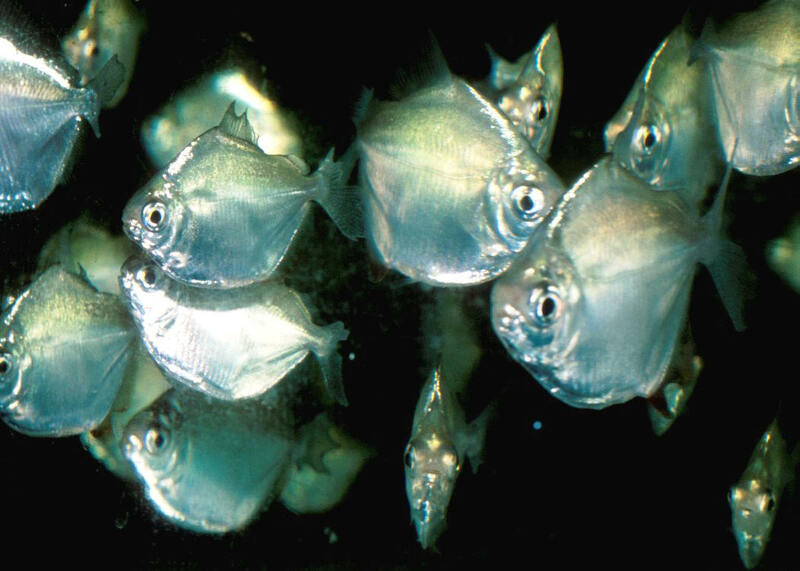 Colossoma macropomum (Cuvier 1816), the Tambaqui to science, various types of Pacu to aquarists. From South America, Amazon and Orinoco systems. To thirty eight inches in length in the wild, 30 kg. 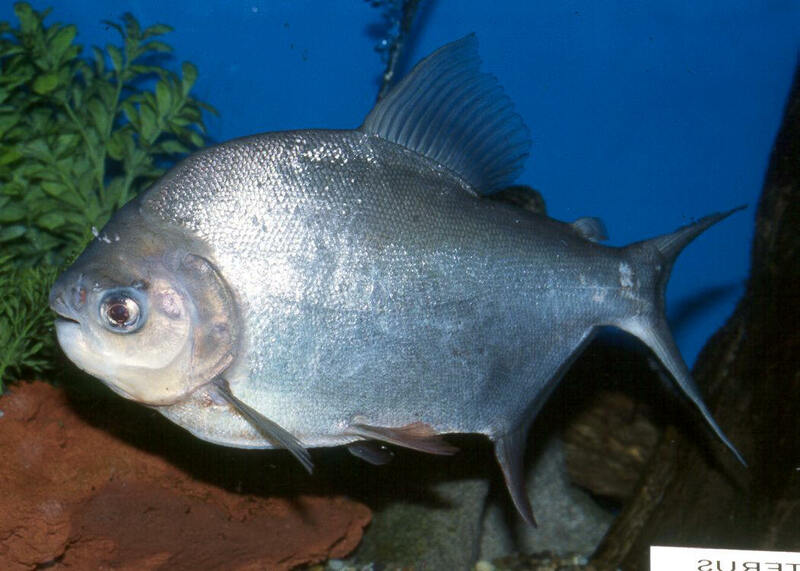 A "fruit-eating" Piranha; herbivorous. Cond.s pH 5-7.8, dH to 20, temp. 22-28 C. Aquarium image. 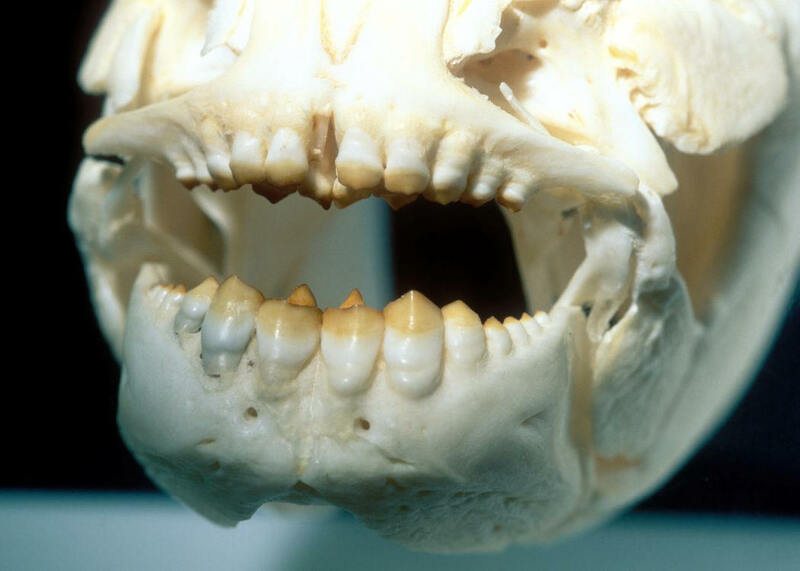 Dentition of a "fruit-eating Piranha". A mount at the Baltimore aquarium showing the handy teeth and jaws of a Colossoma sp. 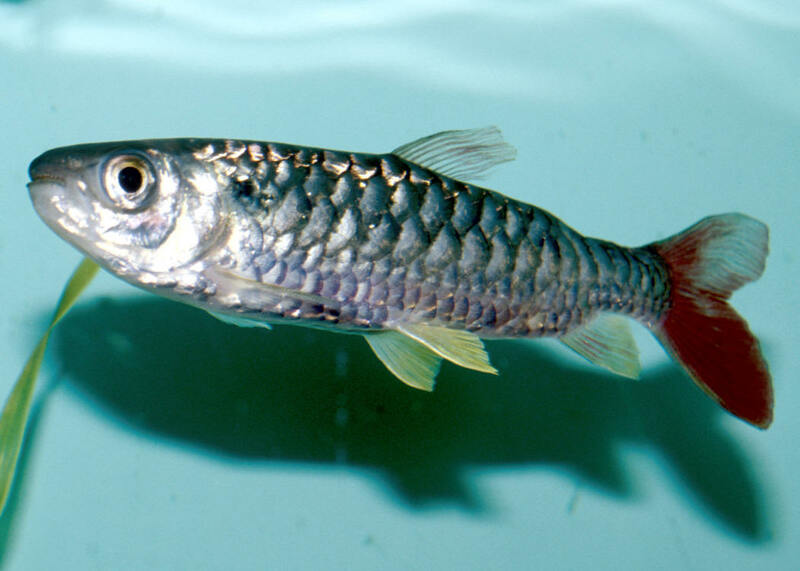 Specialized for chewing the pericarp from seeds that find their way into the rivers these fishes inhabit. Metynnis hypsauchen (Muller & Troschel 1844), the Silver Dollar (at least the most common one in the aquarium interest). South America; Guianas, Paraquay and Amazon Basins. To six inches in length. Cond.s: pH 6-7, dH to 10, temp. 24-28 C. M. schreitmuelleri in older literature. Juveniles in captivity.